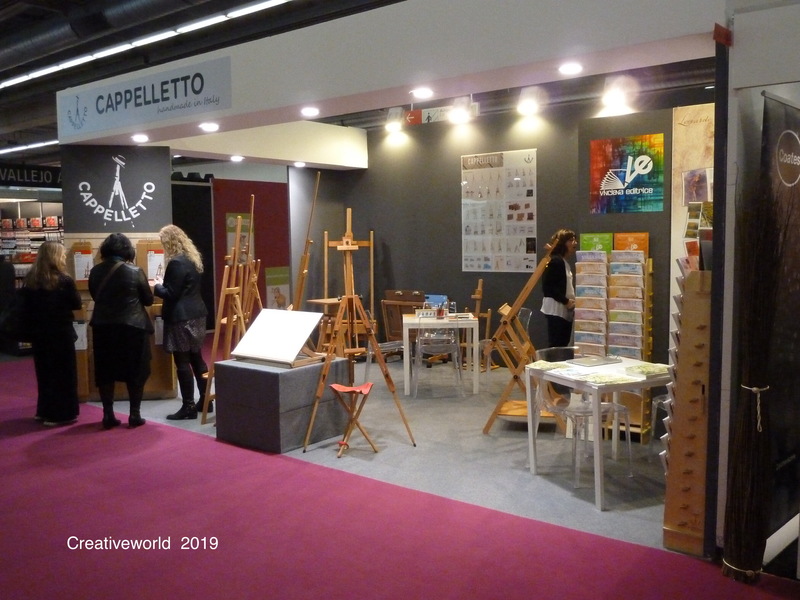 Tag Archives: "made in Italy"
Creativeworld 2019 – Cappelletto at the recent CREATIVEWORLD in Frankfurt. Thanks to all of you who visited our stand, it was a pleasure to see you ! 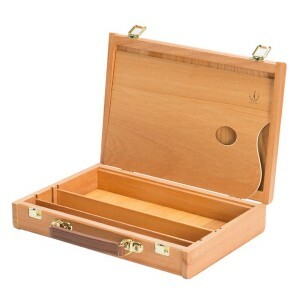 The CA-10 is a colour box with closure by clips of Cappelletto, made in solid oiled beech wood and of dimension 38 × 27 cm (15” x 11”). It has internal wood dividers for dividing the space. 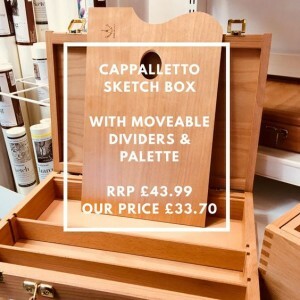 It is an ideal product for painting “en plain air” as well as indoor, it is useful in schools to put in place colours, varnish, brushes and other tools as painting knives, cloth, etc. 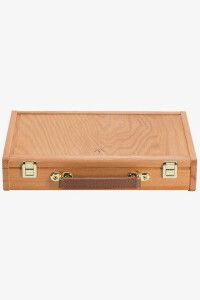 A walnut palette fits neatly inside and it has a brown flat handle. It is a lightweight colour box suitable for the transport outdoors thanks to its convenient handle. All metal parts strongly screwed by hand. Handmade in Italy.